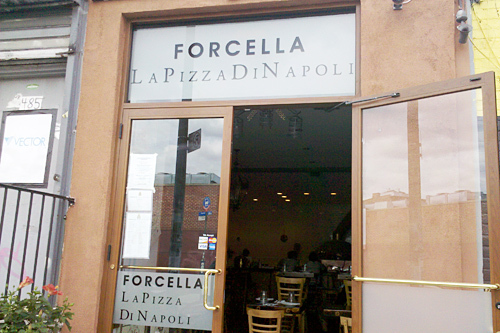 A few weeks ago we were down in Brooklyn and our friend told us to check out a place called Forcella. He said it was a pizza place that served flash fried pizza dough. As soon as he said fried dough we knew we had to try it. Forcella is a classic brick oven pizza place that is focused on creating traditional Neapolitan style pizza. They have two locations, the original located in Manhattan is on 334 Bowery St. The second location is in Brooklyn at 485 Lorimer St. We happened to be in Brooklyn, so clearly we stopped by the Brooklyn location. Forcella is actually helping fill the void left in Brooklyn once Mortirino's closed down. Motorinio's was also a brick oven pizza place that closed last summer, it was located only a few blocks away from where Forcella is now. When we walked in the first thing ws noticed was the brick oven. It is a old-school looking brick oven, glowing red thanks to the coals from the wood. These ovens get extremely hot and cook pizza in a matter of minutes. We sat down and gave the menu a once over. They had your typical Italian options from bruschette to salads and multiple types of pizzas. Everything sounded very good but we already knew that we were going to order the Montanara. The Montanara is the fabled flash fried pizza. It is a lightly fried and then baked Margherita Pizza. 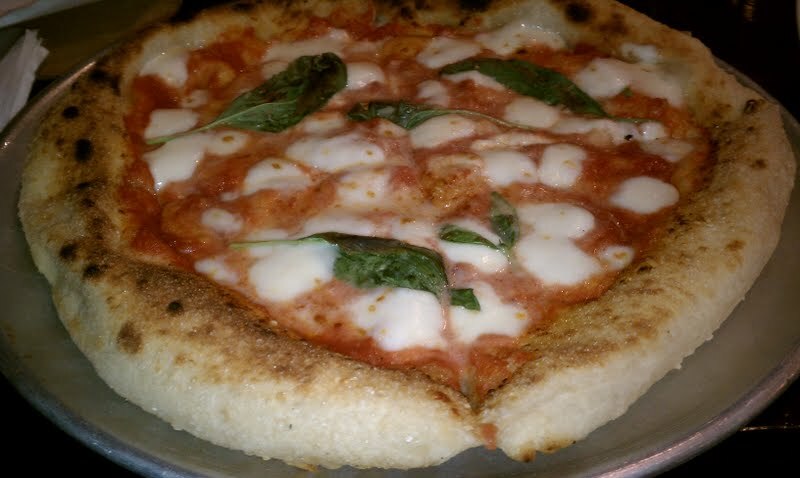 For those who are not familiar with Margherita pizza, it is topped with tomato sauce, mozzarella and basil. It is said Margherita pizza was named after Queen Margherita of Italy, on a trip to Naples she was served this pizza which resembled the Italian flag thanks to the tomato (red), mozzarella (white) and basil (green). The Montanara was everything you could want from a pizza. The ingredients were all fresh and of the best quality. The sauce was perfect and was complemented nicely by the homemade mozzarella. The dough was equally crispy and puffy at the same time. It was not greasy as you might expect after being fried. It was surprisingly light and airy. The pizza did not last very long on table, it was that good. It was certainly a very unique pizza and worth trying. It was one of the best brick oven pizzas we have ever had. Forcella offers quality Neapolitan style pizza with some unique options such as the Montanara. Our food was very fresh and came out extremely fast. The staff was friendly and took care of all of our needs without any hesitation. 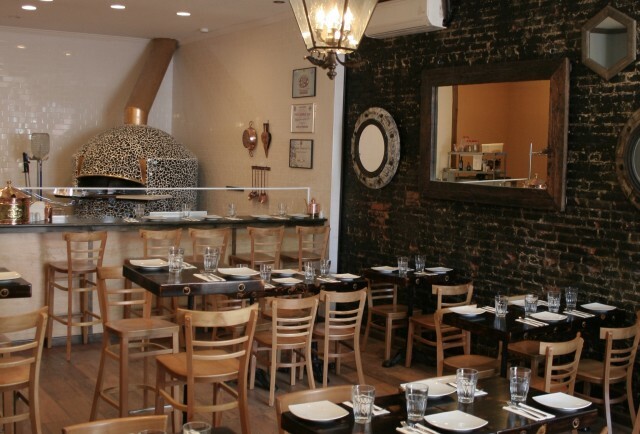 Forcella provides the Williamsburg area of Brooklyn with some of the best brick oven pizza in all of New York City. Forcella is worth checking out and is a Should Eat for us.